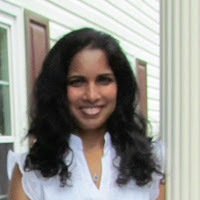 Today please welcome Harvee, who blogs at Book Dilettante http://bookdilettante.blogspot.com/. My first title was Book Bird Dog, to reflect my interests in reading, birdwatching, having a pet. I changed the name to Book Dilettante to avoid confusion with Bird Dog, for those people looking for hunting dogs or books on birds. I started out reviewing mostly mystery novels and expanded to other genres, including women's fiction. Now I review almost all genres, except for horror, sci-fi, serial killer crime novels, vampires, and books with extreme violence. Mysteries, because I love a good puzzle. Literary fiction, because I enjoy good writing. Historical novels, because I'm interested in the past and how it affects the present. Women's fiction because I like to read women's points of view. The comics in the newspaper. Books I found in our bookcase- a picture book on silk worms and the making of silk; a picture book on Gawain and the Green Knight; an illustrated book of dance steps. Later on, Nancy Drew books. The books I read over and over as a child were the ones I mentioned above. I have reread Gone With the Wind and Rebecca several times. Oh, no. Never. Unless it's a paperback for a difficult class you are taking or teaching. Somewhere next to a window. Some people have a hard time with Haruki Murakami's books. I like them all. Do Not Finish if the book is too badly written or plotted or too violent, or not at all your genre. The Stephen King horror novels. Back to Stratford-on-Avon, the home of the Bard. Gardening and birdwatching are some of my other interests. The Sun Also Rises by Hemingway was made into a great movie a long time ago. Thank you for joining us today, Harvee! Remember to check out Harvee's blog, Book Dilettante, and leave a comment or question. 3. GENRES COVERED MOST ON MY BLOG: Contemporary Fiction, Classics, World Fiction, Historical Fiction but I read a wide variety of fiction and non-fiction. 4. MY EARLIEST MEMORY OF READING: I don't really have one from childhood. I became an avid reader as an adult. I read the book Secret Daughter by Shilpi Somaya Gowda and was so enthralled and moved by it, that I wanted to find more books I enjoyed as much as that one. That sparked my obsession with books over the past couple of years. 5. FIRST BOOK I READ OVER AND OVER: I don't typically read books more than once, there are too many great books I haven't read even once yet! 6. THE BOOK I HAVE RE-READ THE MOST TIMES: If I did re-read book, I would totally re-read The Book Thief by Markus Zusak, The Snow Child by Eowyn Ivey and Midwife's Confession by Diane Chamberlain. 7. MY FAVORITE PLACE TO READ: Tucked in my comfy bed. 8. MY MUST-HAVE READING ACCESSORIES: My Kindle. 9. MY BOOKSHELVES ARE: The one in my room is full of books I need to read and we won't even start on the Kindle books that I don't even realize I have. I am obsessed with collecting books! 10. MY TBR LIST/PILE IS: way too long, I'm a sucker and can't say no to good books. 11. A BOOK THAT HAS CHANGED MY LIFE IN SOME WAY: I wrote a whole post about that during Armchair BEA, the books that earned my Thanks for Changing my Life Awards. On the top, The Book Thief. I was captivated by Death, the narrator, and it made me question what Death really might be like. 12. A BOOK I LIKE THAT NO ONE ELSE SEEMS TO: I don't really have one. 13. A BOOK I DON’T LIKE THAT EVERYONE ELSE SEEMS TO LOVE: Twilight. I know don't shoot me. I just felt it moved too slowly with unnecessary long....dramatic...pauses. I watched the movie but couldn't get through the first book. 14. A BOOK THAT INTIMIDATES ME: Pillars of the Earth by Ken Follett even though it's on my Classics Club list. 15. IF I COULD GO TO ANY LITERARY DESTINATION I WOULD CHOOSE: A previous blogger had mentioned but I totally would choose it too...Hogwarts! 17. MY FAVORITE BOOK TO MOVIE ADAPTATION: I usually don't both read the book and watch a movie, I feel like it detracts from my enjoyment of either the book or the movie when it doesn't live up to my expectations. The only one I have read the book and watched the movie was The Hunger Games and I didn't care for the movie. 18. MY BOOK BLOG STANDS OUT FROM THE CROWD BECAUSE: For now, I focus on what I want to read and completing challenges. I am an avid library reader so the books I review are often free and easily accessible. I also cover other topics on my blog including reviewing recipes my family enjoys and positive ways to deal with my chronic illness. 20. MY READING PERSONALITY (http://www.bookbrowse.com/quiz/) IS: well cool..but I could've told you I am very "eclectic" when it comes to what I read/enjoy. Thanks so much for joining us today, Tanya! Remember to check out Tanya's blog, Mom's Small Victories, and leave a comment or question for her below! Plan ahead—I don't know about you, but my desk is littered with note cards that have ideas and notes scribbled randomly all over them. I also have notes on my phone, most of which are completely obscure even to me. For example, "Someone shows up demanding heroine save her true love whom she's never met re: Grimm." I have no idea which episode of Grimm I was referencing there, but interesting idea. Or, "The polis—people outside aren't human. Anna Karenina." Hmmm, I know I wrote that in my Ancient Greek class but I have no idea what Anna Karenina has to do with it. Still, it might fit into another idea I have in the future. Some of these ideas I'll write about when I have time, some I won't, but when you're searching for a topic it's always good to have a list of ideas somewhere to go back to. Read through some of your old posts—You can also go through your blog history and see if there are any posts you can expand on or update. Maybe you'll notice a theme or trend in your reading that you hadn't before, or you've been neglecting one of your features. 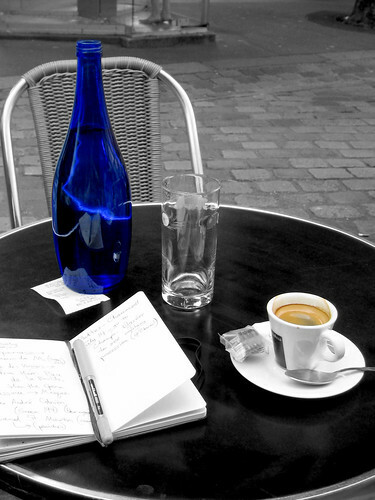 Read through other blogs—Another great place for inspiration is other blogs! Naturally I don't mean stealing their content, but maybe you can curate a list of favorite posts by topic, or create a wish list of books or bookish things. You can also respond to others' posts: do you agree with a top ten list (answer: no, no one ever agrees with lists)? What would you have chosen instead? Did a certain article about a topic you care about go far enough? And so on. Go off topic—Sometimes you're just not in the mood to blog about books. So blog about something else! It may feel like cheating, but per Murphy's Law these posts usually end up being the most popular. The most popular post on my blog is the one where I basically just collected a bunch of pictures of Christopher Gorham shirtless, no joke. Those are my strategies, but I'm sure you have your own! Share them in the comments. Today please welcome Melanie, who blogs at Fang-Freakin-Tastic Book Reviews http://fangfreakintasticreviews.com. I love all things Paranormal, but Vampires are my favorite. Mainly Paranormal because that is what interests me the most. When I was a kid I had a book called "Socks for Supper". I remember reading it with my parents almost every day. What was the first book you read over and over, or the book you've reread most? a random piece of paper or something to use as a book mark. I try to always finish, so it's rare for me not to. It's like I'm waiting for the author to turn things around somehow. Sang. From Delilah S. Dawson's Wicked as They Come series. I like to fish. Mainly because I can read and fish at the same time. Thank you for joining us today, Melanie! Remember to check out Melanie's blog, Fang-Freakin-Tastic Book Reviews, and leave a comment or question. 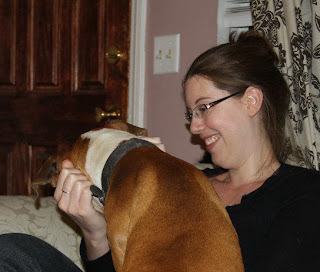 Today please welcome Rebecca, who blogs at Algonquin Side Table, http://www.algonquinsidetable.com. The Algonquin Round Table was a regular lunch group of writers, critics, and all-around clever people (including my heart, Dorothy Parker) who met at the Algonquin Hotel, also known as The Gonk, in the 1920s. ”Side Table” works for my kind of casual approach to reading and bibliophilia. I was halfway through a book about female writers from the 1920s when I came up with it, needless to say. Daily for almost four months. I'd like to say a little of everything, really. I guess it's mostly contemporary literary fiction and pop non-fiction, but I also cover graphic novels, some fantasy and sci-fi, some kids' and teen books... I don't like to get too bogged down in one genre! My dad would sometimes come and read me to sleep at night (ALWAYS either a Dr. Seuss or Where The Wild Things Are,) but apparently had such a soothing voice that he would drift off mid-sentence. I remember taking Oh, The Places You'll Go! out of his sleeping hands to finish reading it myself. Definitely not my first time reading on my own, but the first that I remember. What was the first book you read over and over, or the book you've re-read the most? In a deckchair at a cottage somewhere. Failing that incredibly specific situation, I have an overstuffed chintz armchair that I got specifically for reading in. Obsessively organized in a shelving system only I seem to understand. I'm almost tempted to say Westeros (A Song Of Ice And Fire by George R R Martin) just to get a direwolf, but I expect that it wouldn't be worth it, being both a woman and poor in that context. I also do some illustration, spend way too much time on the internet and money on food, and walking. I sound like an unbelievable mega square, but I really like walking. What's your favorite (or least-favorite) book to movie adaptation? From a book I've read? The 2006 Joe Wright Pride And Prejudice with Keira Knightley. I'm not a Jane Austen fan, and I expected the movie to be too Hollywooded anyway, but I absolutely loved it. Thank you for joining us today, Rebecca! Remember to check out Rebecca's blog, Algonquin Side Table, and leave a comment or question. Please welcome Monique, who blogs at Write Note Reviews. What is the name of your book blog? I started blogging seriously about January 2012 after I left my job as a newspaper editor. I’d been fortunate enough to review books while working in media, so I just made a few calls to my contacts and went from there. Now I review regularly for about 10 publishers in Australia. I review across a number of genres, but most books probably fall into the contemporary fiction, historical fiction, crime/thriller/suspense and romance categories. I don’t really remember not reading. I’ve always had my nose in a book. Well, nearly always! I think I inhaled books. What was the first book you read over and over? Probably The Lion, the Witch and the Wardrobe by C.S. Lewis. Still love it! That’s hard. It’s a toss-up between Jane Eyre and Anne of Green Gables. In my new reading chair. It’s gorgeous! I picked it up at a garage sale last week and it is a beautiful French-style chair with walnut carving around the legs and arms. Other than that, anywhere I can be uninterrupted. A blanket in winter. I can read without munchies … but I am partial to them, especially popcorn. groaning under the weight of all my books. overwhelming and exciting at the same time. Is that possible? I don’t think I can limit myself to one. Different books have met different needs at different times. Reading books about living in Italy have affirmed my outlook on the way I cook and live (sadly, without the actual living in Italy bit); the Bible has met spiritual needs at different times; cookbooks never fail to inspire me. All books have changed my life because they have enhanced it and allowed me to embrace my imagination and the thoughts of others. One book you like that no one else seems to? How about a book that you dislike and everyone else seems to love? I’ll answer these together. No specific titles are coming to mind, but the way I see it, we’re born with different tastes, desires and needs. Sometimes a book will meet a certain need for you, but doesn’t for others. Does that make it no good? No. It’s all subjective. Like a good wine, books are bound to taste different for every consumer. Les Miserables. I have tried to read it, but have not yet succeeded. Also a hard question … as a child I wanted to see the Lake of Shining Waters with Anne (Anne of Green Gables), as well as Mary’s secret garden (The Secret Garden) with Dickon and Mary. These days, I’m easily swayed by all the wonderful places I read about, but the Tuscany and Umbria regions of Italy as described by Marlena de Blasi would probably be at the top of the list. How about non-book related hobbies? What do you do when you don't feel like reading? Cook. I love cooking feasts and treats for my family. I also enjoy writing, photography, walking and going to op shops. Can I choose two? Chocolat and Lord of the Rings. Funny that … when I started book blogging, I thought it was a pretty original idea. Not, as it turned out. Mine is ‘unique’ in that it’s my voice … other than that, I add a bookish treat idea to the end of each review – a book and a treat all in one. I’m an eclectic reader, or as I say, a bit of a licorice allsorts. Thank you for joining us today, Monique! Remember to check out 's blog, Write Note Reviews, and leave a comment or question. 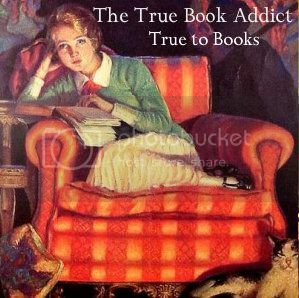 Please welcome Michelle, who blogs at The True Book Addict. Michelle's blog is know for Cat Thursdays and historical fiction reviews. *What's the meaning behind the name of your blog? I started out on MySpace as The Book Addict. When I started my blog, I used it, but soon found out that there was another blog with that name. I wracked my brain and true book addict popped into my head. I thought, "That makes sense since I am "true" to books, after all." The rest is history! *How long have you been blogging? *Tell us a bit about your book blog. What makes it unique? Well, I guess it's unique partly because I'm constantly changing the background. I haven't jumped on the bandwagon of getting a custom design because 1) I can't afford it and 2) I like change too much and I know I will get tired of having the same design. I had a different header for the first few years of blogging and I just redesigned it last year. I will probably change it again in a few years. Who knows. Not sure if that makes me unique, but I feel unique at times. *wink* I guess my blog is unique too because I speak my mind. I really don't post too many opinion pieces, but when I do, I'm honest and straightforward. *What genres do you write about most, and why? I made the decision to make historical fiction the focus of The True Book Addict a few years ago. I still review classics and some literary fiction, but I branched out in 2010 with a horror/speculative fiction blog to help me maintain my focus on historical fiction at The True Book Addict. I think anyone who visits my blog will see it's obvious that history is my passion. Historical fiction gives me the chance to visit distant lands and envision historical figures the way they might have been. Although some historical fiction may not be completely accurate, in the end,it's the story that captivates me. *What's your earliest memory of reading? Can I say in the womb? LOL Seriously though, I remember endless hours of reading the Little Golden Books and those little square books they used to sell at the grocery stores. My mom would never let us get a toy or candy (well, sometimes), but she always let us get books. I had a favorite one. It was called Peppermint...about a little abandoned kitty. I must have been about three or four because I named my first cat after one of the kittens in that book, Caramel Drop. Of course, I also remember hours of reading Sara Crewe and Little Women and then later getting into fantasy, like the Prydain Chronicles and the Wizard of Oz books. *What was the first book you read over and over, or the book you've reread the most? The book I've reread the most is Queen of the Damned by Anne Rice...four times. Rice is my favorite author and I know it seems funny for me to say that because of my love for historical fiction, but anyone who has read Rice's books knows that she is a meticulous researcher and many of her books feature historical elements. I really love all of her books, especially the Vampire Chronicles and the Mayfair Witches, but Queen of the Damned is my favorite book of all time. *Writing in books: Yes or hell to the no? Hell to the no! I might condone in self-help books, but I draw the line everywhere else. *What's your favorite place to read? In my room, in my comfy armchair with my feet propped up on my huge footstool. *Do you have any reading accessories you can't do without? My glasses...and book marks, of course! loaded with a collection of 3000+ books. No, I am NOT a hoarder! *One book you like that no one else seems to or vice versa? Wuthering Heights. Am I the only one who thinks Heathcliff is incredibly romantic? Guess I just love the tortured hero. *To DNF or not to DNF? Now that I have so much to read, I have a general rule of 50 to 100 pages. If it's not grabbing me by then, it's outta there. I like most books though so this doesn't happen very often. *What's one book that intimidates you? *If you could go to any literary destination, where would you go? England. After recently reading Murder as a Fine Art by David Morrell, it has renewed my interest in visiting London and touring the streets that were Whitechapel and surrounding in Victorian times. *How about non-book related hobbies? What do you do when you don't feel like reading? I watch an incredible amount of television, but really only at night. And I read during the commercials. I also love movies almost as much as books...almost. *What's your favorite (or least-favorite) book to movie adaptation? The Silence of the Lambs because it was SO much like the book. *What are 3 of your must-read blogs? Involved Reader: You don't just love to read books, you love to read about books. For you, half the fun of reading is the thrill of the chase - discovering new books and authors, and discussing your finds with others. Exacting Reader: You love books but you rarely have as much time to read as you'd like - so you're very particular about the books you choose. Serial Reader: Once you discover a favorite writer you tend to stick with him/her through thick and thin. Eclectic Reader: You read for entertainment but also to expand your mind. You're open to new ideas and new writers, and are not wedded to a particular genre or limited range of authors." Thank you for joining us today, Michelle! Remember to check out Michelle's blog, The True Book Addict (http://thetruebookaddict.blogspot.com/), and leave a comment or question. 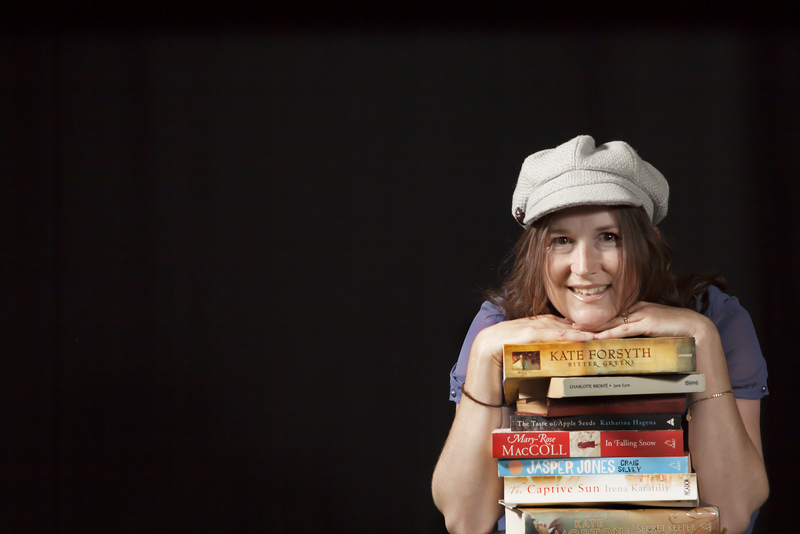 Please welcome Laura, who blogs at Little Read Riding Hood. Laura's blog is know for fantasy, paranormal, and UF reviews. I don't know about my earliest memory, but I do know that when I was younger my parents would have to ground me from reading because that was the only thing they could take away that would really hurt. "Go to your room!" "No TV!" Etc, and my answer was "Ok, I'll read!" My mom still feels bad about that! Honestly, for a long time I was anti DNF. But the longer I blog and the more I read, I have realized there are too many good books out there. Why should I have to force myself to pick up the book I am currently reading? If I am not excited about it by about 40%, or at least even interested in the story, then I DNF. I will say on the blog and goodreads why I DNF'ed, but I don't give it a star rating. Eclectic Reader: You read for entertainment but also to expand your mind. You're open to new ideas and new writers, and are not wedded to a particular genre or limited range of authors. " Thank you for joining us today, Laura! Remember to check out Laura's blog, http://littlereadridinghood.com, and leave a comment or question. Please welcome Kelly, who blogs at Reading with Analysis. Kelly's blog is know for romance reviews. 4. THE BOOK I HAVE RE-READ THE MOST TIMES: Pride and Prejudice definitely wins with the most re-reads, followed closely by Persuasion, but I have a list of books that I re-read on a semi-regular basis: Far from the Madding Crowd, In Search of Lost Time, Cry, the Beloved Country, and The Winter of Our Discontent. I haven’t done as much re-reading in romance since I started my blog, but I’ve got a soft spot for Devil’s Bride by Stephanie Laurens, England’s Perfect Hero by Suzanne Enoch, and The Duke and I by Julia Quinn. Those three books welcomed me back to the genre after my decade of snobby reading. 5. MY FAVORITE PLACE TO READ: My favorite thing in the world to do is to lollygag in bed with a book. I naturally wake up at about 7 a.m., but on Saturdays I usually don’t need to get out of bed before 9. I love to spend that two-hour period reading and annoying my husband with my lazy ways. 6. MY BOOKSHELVES ARE: organized by subject, generally, but Dewey would cry if he saw them. He’d say, “What kind of madwoman forces Greek and Roman literature to share a shelf and sandwiches them between a shelf of ‘British literature’ and ‘20th Century European literature’? She knows nothing!” He’s right, honestly. And anyway, I actually read 100 e-book romance novels to every 1 paper book have on my interestingly organized bookshelves, sooo…..
7. A BOOK THAT INTIMIDATES ME: James Joyce’s Ulysses (and, I suppose, Finnegan’s Wake, but I wonder sometimes if anyone actually reads that book or if folk just pretend they have for the dubious benefit of passing themselves as well-read) is the most memorable example of a book I tried to read but could not finish. The book itself is not all that intimidating… I’m not saying I really understood any of it when I was reading it, but I got through three quarters of the book with no real problem. Unfortunately, during my reading of the book, I suffered a trauma, and I’ve never been able to pick it back up again. I’ll never get to the glory of Molly Bloom. Perhaps it’s for the best. 8. MY FAVORITE NON-BOOKISH ACTIVITY: I love to entertain guests in my home. My husband and I host a weekly dinner party at our house, and my job is generally to keep the conversation going and, occasionally, to be unbearably awkward. I’m fairly decent at both. 9. MY BOOK BLOG STANDS OUT FROM THE CROWD BECAUSE: Honestly, I can’t imagine that it does. I suspect my reading approach to romance novels is a trifle unusual, both because I take them seriously and I have expectations of quality when I approach the genre. On the blog, I try to approach books in a thematic way, when there are sufficient themes within a book to discuss, or a specific way, to explain what I did (and often didn’t) like about a book. In other words, I’m shooting for constructive criticism. Also, just about everything in the world reminds me of an Eddie Izzard reference or a clip from Veggie Tales or a comedy from the 80s, etc., and I like to share those references to keep things fun (or awkward). Oh, and I’m kind of a feminist (like Pol Pot was kind of a mass-murdering fuckhead), and I tend to discuss romance novels through a feminist perspective. Not sure if all of that makes for a stand-out blog, but there it is. Features are one of the best ways to make your blog unique, "meet" new bloggers, are useful for having something ready to post when you're searching for a topic, and keep bringing people back to your blog. Sounds like a win-win-win, right? So what are feature posts? Basically they're themed or linked posts that regularly appear on your blog. I know that definition was a little broad, so let me give some concrete examples of feature posts. Both of my fellow BBI managers have great features on their blogs. My favorites are Take Me Away... at I'm Lost in Books, Becca's blog, and Fairy Tale Fridays at Tif Talks Books, Tif's blog. Some other successful blog features are Weekend Cooking at Beth Fish Reads, In My Mailbox at The Story Siren, and Top Ten Tuesday at the Broke and Bookish. Notice I didn't include things like The Sunday Salon, Wordless Wednesday, or Booking Through Thursday (is that still going?). That's because these are considered memes, not features. Keep reading to find out why. Sounds great! But how do I create my own feature? What makes you/your blog unique? Feature posts should reflect special features related to you and your personality. Are you really interested in art, music, design? Do you know a lot about food or history? Features don't have to have anything to do with books even if you're running a book blog! In fact, it's sometimes more fun if they don't. How often/long can you keep this up? You might have noticed most of the features I mentioned are weekly—Fairy Tale Fridays, Weekend Cooking, etc. That doesn't mean your feature has to be weekly! It doesn't even need to have a set schedule. But you SHOULD be sure when you start that you can keep posting on the topic on a regular basis for a long time. Horrible at keeping up with things? That doesn't mean you can't have features, just run them for a short time. For example, when I first started my blog I did a weekly feature called Museum Mondays for one month. One month is about all I can manage when it comes to features. I know this about myself. Do you want to turn your feature into a meme? When you post something regularly on your blog, it's a feature. When other people take your topic and post about it on their own blog, it's a meme. That's why The Sunday Salon is considered a meme and not a feature: no particular blogger "owns" or features it. Whereas, even though Weekend Cooking is a meme, it's still a feature on Beth Fish Reads that she created. Make sense? All of that is kind of a prelude to saying you don't HAVE to turn your feature into a meme. In fact, most features are never turned into memes and remain native to one person's blog. THIS IS TOTALLY OKAY. Features will still help make your blog unique and help to bring new/different types of readers to your blog. Keep in mind, too, that hosting memes can be a lot of work. You'll have to promote the meme and comment on all the posts about it. On the other hand, it's fun to grow a community around what you're interested in, and if you build it they will come—don't NOT ask people to join in simply because you're afraid no one will. They will! Do have any features on your blog? Tell us about them in the comments! Please welcome Alice, who blogs at ofBooks! Literary Fiction/Classics, Non-Fiction, Historical Fiction, Poetry, General Fiction, Fantasy and Dystopians. I didn't read much as a child, most of my memories are of me in my early twenties guzzling book after book rather than anything specific. I do remember a period in my early teens when I loved Louisa May Alcott books – Little Women and Eight Cousins – I really craved that sort of upbringing, no idea why. I tend not to re-read books, I have never felt the desire; I am always after the next adventure, always wanting to crawl into the next world. I would say that Harry Potter series is probably the only occasion where I have re-read anything – my sister and I used to re-read the series before each book came out to remind ourselves of the plot. Once we devoured the newest book in a matter of days, the prospect of years ahead of us before we could revisit Harry, Hermione and Ron again was devastating. A bookmark, a pen and my laptop. This may horrify the majority of you, but I am a book scribbler. I should invest in some post-it notes to jot on, but currently I will write notes all over a book. You should see my copy of 1984, angry and 'huzzah!' scribbles all over it. My laptop is always at hand too, so I can get down thoughts which surpass scribbling length. Overflowing! They are split into three sections; books to read, favourite books read, and everything else. I do not organise by any method; author, alphabetically, colour, height – for convenience sake I probably should. It taught me to think outside the box – it is easy to herd a population under the title of 'extremist', 'fascist' or 'Nazi', when life is more complicated. Should blame be placed on people who have little understanding of what they have done? Can we punish the individual for a group's crime? It blew my mind; now I consider all factors of an event, not just the winner's. I can't really think of one. Not to say that I have marvellous taste; I find it tends to be a friend or two that disagrees with my opinion, as opposed to a group of people – I have never been in a situation where I appear to be the only advocate. The Book Thief by Markus Zusak– it was okay, but did not move me in the same way it did for anyone else I have spoken to about it. Most of Shakespeare – I feel like there is constantly something I am not understanding, and the language, though beautiful, is lost on me. Any location Poirot visits, Agatha Christie gave her sleuths the best adventures. I would particularly love to travel down the Nile in the 20s/30s, oh the glamour! I really would love to list something here that would imply that I am in some way active, but really, aside from reading I just enjoy seeing friends and having a natter. Books are my introvert tool of joy, however, on occasion I need human interaction. Seeing, or speaking to, some of my favourite people occupies my spare time and keeps me happy. Charlie @ The Worm Hole [http://wormhole.carnelianvalley.com/]; because we have similar tastes in books, and sometimes I think she can read my mind. Emily @ Emily Books [https://emilybooks.wordpress.com/]; because we have utterly different tastes in books, and her blog introduces me to books I would never find on my own. Manda @ Break the Sky [http://breakthesky.net/]; because she is one of the most interesting 'life' bloggers I know. Thank you for joining us today, Alice! Remember to check out Alices's blog, ofBooks, and leave a comment or question. Postcard Blogger Exchange for July: Your Favorite Reading Spot! 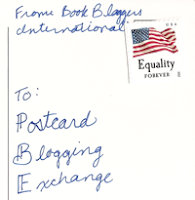 This is our monthly meme (though this is only the 2nd one, it will be monthly) called Postcard Blogging Exchange! We want to invite all of our readers to participate in a “postcard” exchange of sorts by creating a theme and asking you to contribute! It works like this: On the last Friday of each month we will put up a post like this one giving you the theme. This month we are asking for a photo of your favorite reading spot! Is it a comfy chair? A sweet sofa? A reading nook by a window? A place in the park? A coffee shop? Your bed? Your deck or front porch? Where do you find yourself loving to crack open a book? There is a Link-Up below so that you all can take part. First, grab the awesome Postcard Blogging Exchange image that Tasha made above, then take a photo of your favorite reading spot, or even you reading in your fave spot, and make a short post about it on your own blog. Link that post up here so everyone can come check it out. Then be sure to check out the other links, too! We can’t wait to see where you love to read! So, link up below and, above all, have fun!